Mr. Weed has practiced law in the intellectual property (IP) field since 1998. During his tenure as an IP attorney, he has gained extensive experience in providing a wide range of IP related services to major corporations as well as start-up, small, and mid-sized companies. Prior to entering the IP field, Mr. Weed was an analyst with Electronic Data Systems (EDS) for six years. While at EDS, he supported a major automotive manufacturer and a major health care provider, providing a variety of services and interfacing with various levels of management. Mr. Weed strives to provide clients with prompt service and is well prepared to counsel clients and provide the quality of service needed to maximize the value of their IP. 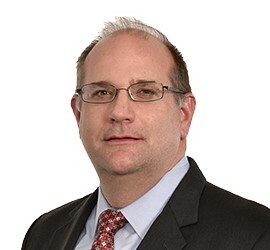 He stays abreast of the ever-changing IP field as a member of the , American Intellectual Property Law Association (AIPLA), the Philadelphia Intellectual Property Law Association (PIPLA), and the Chester County Bar Association. He is also a frequent author and speaker on emerging IP trends and legal developments.